GrowIT is an ambitious new full-stack conference, which aims to bring together IT experts, beginners, enthusiasts, students, and more; to increase connections and engagement; and to explore exciting and groundbreaking topics. 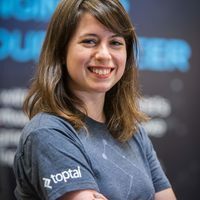 The conference takes place December 1-2, and Toptal is proud to have two speakers taking the stage. December 1 at 11:45am, Ivan Čuljak will present a talk on Making the Cloud Event-Driven and Orchestrated. The talk will offer an overview of Ivan’s experiences and lessons from 18 months in the serverless “trenches,” as well as tips to be successful. Later that day at 5:00pm, Nikola Đuza will give a talk titled There and Back Again: e2e Testing React with Cypress. In this talk, he will introduce Cypress and its features, then show how to properly test the React front-end and connect it to the back-end efficiently and in less time. For more information and tickets, please see the event website.